Thanks Kaley. I was laughing at myself the entire time. It isn’t silly but fun. Hope you had a nice Christmas. Hi Mojisola. I stated silly only because I was giggling like a school girl the entire time. Thank you for the Xmas wish. Unfortunately we don’t celebrate xmas as I’m jewish. However I am enjoying the holiday season and it’s not over yet. I hope you & your loved enjoyed the holidays. This is too funny! Glad to see that someone is not afraid to show their silly side! 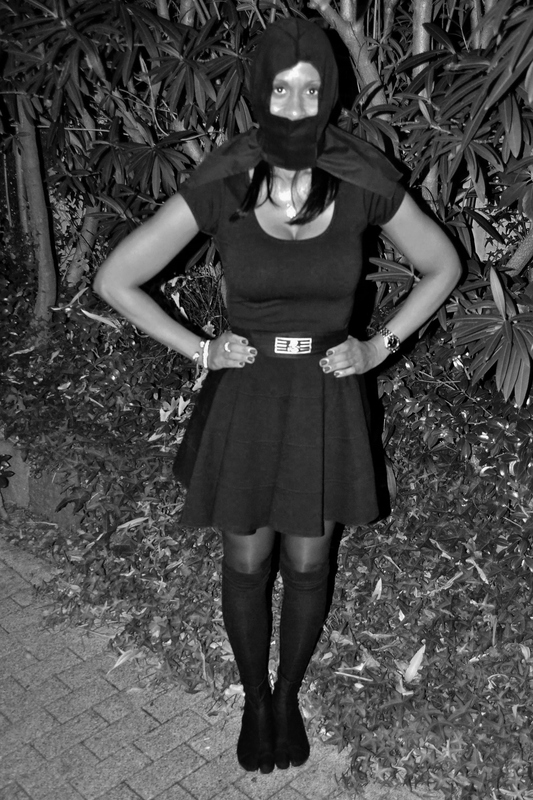 Even though you were being silly, you still managed to pull together a great all black look! Thanks Rach. I’m happy to see someone has a sense of humor, just as I. This is so fun! 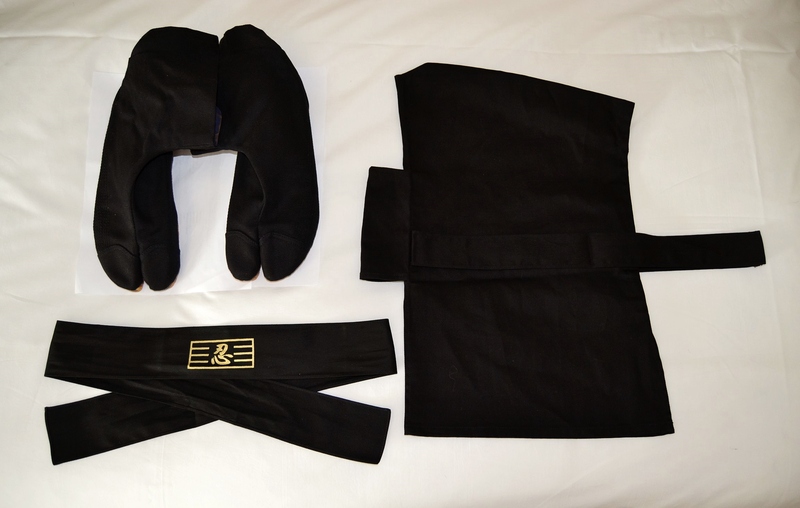 I love your LBD and you look so cute in the ninja outfit! Thanks Megan. I had such fun doing this quick shoot. Hi Kaye. It totally was. This is hilarious! I love that you did this photo shoot. Tara, thank you so much for getting the joke. Sometimes you just have to have fun with fashion and laugh at and/or with yourself. Thanks Shauna. Happy that you like it. Same to you & enjoy the new year. This is way too funny and looks like you had so much fun! I had a ball doing this little shoot. Great pics! I can totally see these in an editorial spread! I would love to visit Japan! Omg, more like a comedy magazine. I was acting so silly, but it was fun. This is too fun! Had me laughing the entire time! Great! Love a healthy sense of humor. Thank you. I most certainly will.